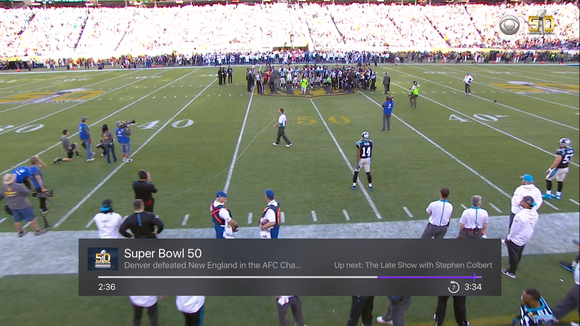 Over-the-air (OTA) programming remains robust in America and many other countries, despite the dominance of cable, satellite, streaming services, and digital downloads. 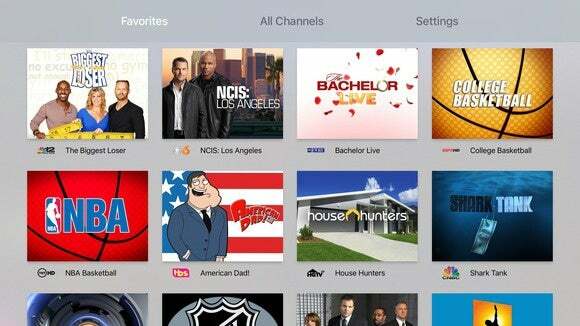 The Apple TV doesn’t feature a tuner, which seems like a relic of a past generation, but the Channels app can provide a nicely designed bridge for live programming—if you have the right additional hardware. Channels has only been out for a few months and started by offering only live tuning. However, version 1.4 adds a roughly 30-minute recording buffer, a much-needed feature that lets you pause, jump back, and fast forward. The buffer is limited by available space on your Apple TV and the tvOS’s approach to managing storage. Channels lets you keep a running buffer of roughly 30 minutes, and pause, scrub, rewind, and fast forward. There’s little to configure in Channels. The Settings view can automatically find HDHomeRun devices or they can be added manually. The app figures out your location and should populate your channel list with station names and provide programming details when you browse and tune. It has two main views: Favorites and All Channels. Favorites are set in the Settings screen, letting you exclude channels you don’t watch. In my market, there are many higher-numbered channels that offer non-English, religious, and shopping programs I never view, for instance. And some local stations have multiple HD sub-channels, some of which are dedicated to genres (like Westerns, crafts, and black-and-white movies) that you may prefer or never watch. In both the Favorites and All Channels views, the screens show program art (where available), like a television series “card” with an image and the show’s name. Select a channel in either view, and Channels tunes to it. You can set favorites in the blissfully simple Channels app and then scroll through a static visual display of current programming. The HDHomeRun hardware has a tuner-lock setting that Channels and other software can use to indicate that particular tuner is in use. Channels can work with multiple HDHomeRun devices, too, so if you’re in a house with a lot of live TV viewers, Channels and other software should scan to find the first available unlocked tuner. My household only tunes one program at once, but we use an OS X-based DVR (eyeTV) to record as well, which can occupy one or both tuners in our HDHomeRun. Any software or hardware with UPnP support (included in the broader DNLA standard) should be able to tune HDHomeRun devices as well. 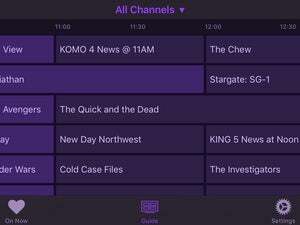 The Channels 1.4 program buffer makes a good app much better, letting it fulfill its limited mandate more completely, and better justifying its $25 price tag—although there’s no recurring subscription fee despite access to program information. The developers plan to keep adding features and integrations, and tvOS (like other App Stores run by Apple) doesn’t have upgrade pricing, so they may have chosen the most sensible fee relative to the potential market for this app to keep their company going. Channels uses the Siri Remote well, allowing you to scrub, or rewind by 7-second or advance by 30-second intervals. You can also swipe to look at the static channel cards for other live programs and double-click to jump back to a previous channel. The app decodes and displays closed-captioning and alternate audio tracks when available. For those with surround sound and the right stereo setup, the Channels app can decode the audio signal for 5.1 and pass it through the Apple TV (using S/PDIF over HDMI). While the current version doesn’t work with DVR software, like El Gato’s eyeTV, the company says it’s working closely with SiliconDust, which has multi-platform DVR software under development. 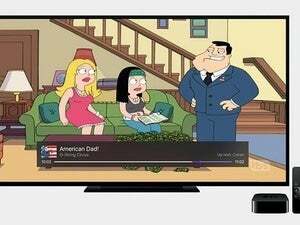 If live television has been a missing or irritating-to-use piece in your home-entertainment setup, Channels plus a networked tuner pulls it neatly into your Apple TV.